Recycling is serious business. The EPA estimates that 75% of our waste is recyclable, but we only recycle about 30% of it. More materials are being recycled, but do you know them? 36% of Americans don’t know that items such as crayons and trophies are recyclable, whilst 77% say that pizza boxes are; are you one of them? Every day, the U.S. throws away enough trash to fill 63,000 garbage trucks. At this rate, would there be enough landfills left to contain our ever-growing garbage? With more countries embracing recycling, regulations are becoming stricter in terms of waste sorting. Yet, the abundance of materials has led to confusion and worry for people. We need an easy way to sort trash at home. Furthermore, cleaners are wasting their time emptying every trash even if it is not full and sorting the waste in the trash. We want to ease the trash sorting process whilst make their jobs more efficient. 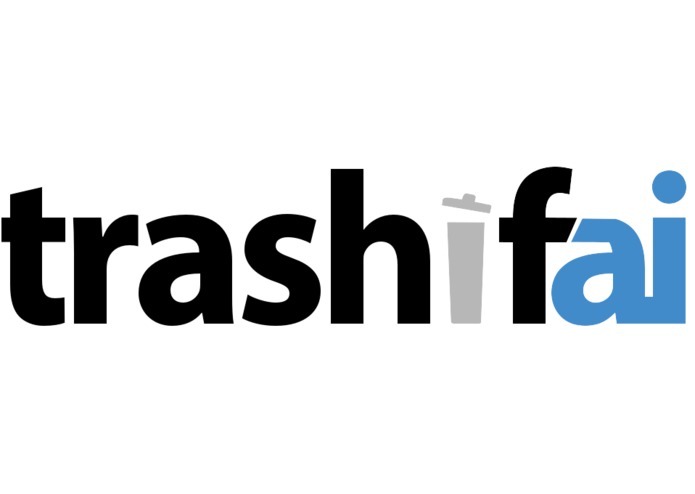 Trashifai is a smart bin that will sort the trash with a machine-trained learning. The trash is then sorted into recyclables and non-recyclables. In addition, users are notified by a LED light and an SMS when the bin is reaching its capacity. We used Clarifai to train up a model which identifies objects and classify them according to if they are recyclable. 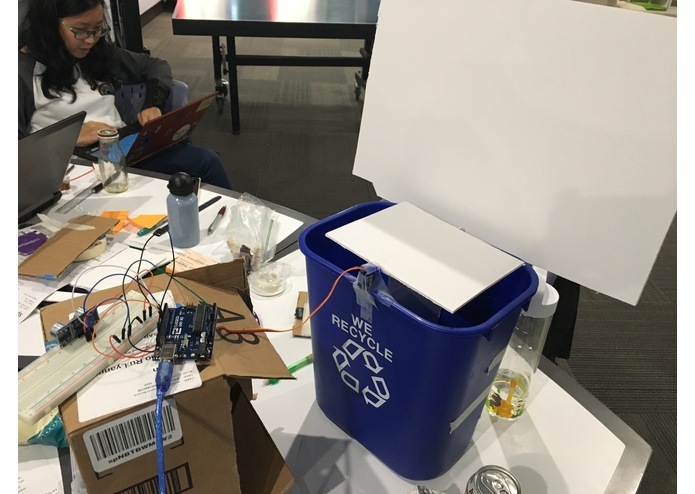 We used an Arduino Uno to control 3 ultrasound sensors that measure the amount of space left in the bin as well as acting as a proximity sensor to detect incoming trash. The Arduino code is written in C and uses the serial port to communicate with the Python app. We use the Python API to link the model with the Arduino and the camera that takes a picture of the object for classification. The Python app also sends out a SMS to the owner when the bin is full using Twilio. We created a company mobile app that utilises the model we trained for environmentally friendly users to classify their trash on the go. Supersonic was used to create the mobile app. We also created a webpage with a video demo and an explanation for our product. The webpage is hosted on NameCheap and built from Bootstrap. We found Clarifai's documentation to be a little unclear, and so found some difficulty in integrating the API. This was mitigated by inquiring with the personnel from Clarifai (Shirley & Prince) who were very friendly and helpful. Ideating was also a challenge because we had many ideas, but many were not feasible. At the end, we made a choice through elimination by preference. On the hardware side, we struggled with the limited materials available but we did our best with foam core and any bits and pieces of stuff in our room. Getting our hands dirty with numerous products (App, website, hardware) after starting work on the 2nd day and producing functional prototypes with new software. Twilio is an amazing software with exceptional user friendly tutorial with great support. Twilio has easy to deploy code which allows prototypes to be quickly produced. Clarifai has responsive and friendly staff which helps to bridge the outdated documentation with their latest version. The API makes machine learning a simple and fustration free experience and allows for easy connectivity with apps. Overall, we learnt of new APIs that we can use for future projects. We gained a great deal of experience in working not only in the different languages, but also in identifying strengths in our team. Imagine a future where no rubbish is mis-sorted and no ugly sights of overflowing bins. That, that is the future of trashifai. 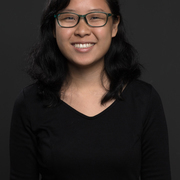 I set up the Clarifai project and connecting it to the Python and the phone app, worked on the Python app and designed many of the logos and icons. 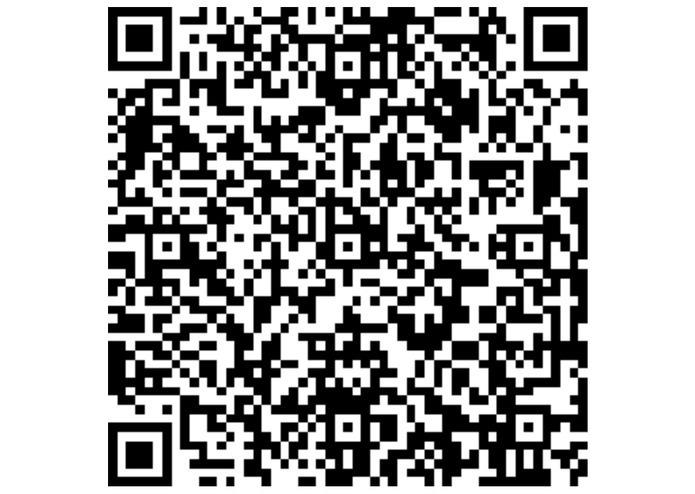 I designed and coded the website, and created the mobile application that complements our product. Wrote the code for the arduino script that controls the servo and python script that calls the Clarifai and Twilio API. 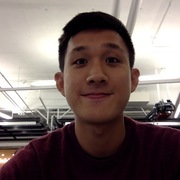 I trained the AI and helped with the Arduino and Python App that interfaces with the Clarifai API and built the bin.